Revocharger Has relaunched their campaign! Revocharge have created an amazing product with multiple uses! The swiss army knife of cell phone cases. One case with every attachment you would want, a backup battery, induction charging dock, windshield mount, Armband, and a clip. You never have to fuss with different cases for each use, whether you need to connect a backup battery or you're going to the gym just snap the Revocharger to its proper attachment and go! 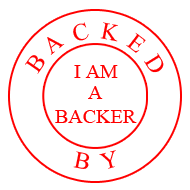 I am a backer and I can't wait for mine. Magnetic snap on charging system for iPhone 5S/6 & Android with Smart Lock and Quick Charge. Never be left powerless again! Cables and cords tie us down. You can’t go more than a few hours without yourbattery running low as you frantically search for a way to power up. Until now. Revocharge is the ultimate mobile charging station for your smartphone. We’ve all been there – busy, relying on our supposedly mobile phone to keep us connected, when we look in horror at the screen and realize the battery is almostdead. Wasn’t it just charged this morning? Then the panic ensues – did I bring the right cable? Where is it? Is there a power outlet around here? Essentially, our mobile phones have not completely kept pace with our mobile lifestyles. In response to these mobility frustrations, we developed Revocharge, an innovativewireless charging system specifically designed for iPhones and Androids. Charge your phone anywhere at anytime without dealing with outlets or bulky cables. Charging your cellphone has never been as fast, as efficient, or as easy. Magnetic battery is designed to give your phone %150 more power. The Revocharge battery when snapped into place on the phone case can also act as a DIY phone stand. Revocharge cases features a powerful magnets that allows the case to easily attach (and detach) from any steel surface. Magnets are shielded and %100 Safe to your phone. Use the Revocharge desk mount to recharge your magnetic battery wirelessly in full speed. The one-stop charge-and-sync solution for your entire family! Less mess and headaches, but the same power and freedom. Revocharge has you covered. Our universal charge car mounts don’t just make it easy for you to keep your phone in view, but they also allow you to charge your phone at full speed. Secured by a heavy duty suction cup and earth magnets to keep your phone in place, Revocharge’s car mounts will never let you down. Disclaimer: Prices listed below are for a limited time to kickstarter investors only. For example: If you pledged $107 for Family Package (early bird) , you can add an additional support package by adding $25 to your total balance, making your total pledge $132. International buyers: don't forget to add $20 for shipping. Why we're bringing Revocharge to Kickstarter? Revocharge was created out of a sense of need. Like you, we’ve been the victim of a low or dead smartphone battery. We’ve been stranded far from a cord or cable wanting to charge up or sync data. We’ve missed photo ops at family weddings, missed out on a goodnight call from our loved ones while we were overseas. We know what it’s like to feel disconnected, which is why we set out to create Revocharge. We wanted to make it easier for everyone to stay connected, charged and synced all the time, especially in this increasingly mobile and wireless world. After endless hours of brainstorming, going back to the drawing board, and late night sessions that turned into all-nighters, we’ve designed the most attractive and useful smartphone charging system on the market. Without the funds requested, we won’t be able to manufacture this product because of the high costs involved. Without your support, we can’t help make this world truly mobile. We’ve gotten this far through hard work, ingenuity, and the support of our friends and family. We’re proud of how far we’ve taken Revocharge - from drawings on a piece of paper to a bonafide, working prototype that’s received initial approval from Apple. Dragon Innovation has reviewed our project and per-qualified us as an educated team with a build-able product.